This post was originally published on Forbes.com on January 23, 2019. This is one that honestly amuses me. Monitor social media enough, and it’s almost like there are fan clubs or cheering sections. The American Global Forecast System (GFS) model and the European Center For Medium-Range Weather Forecast (ECMWF) model (often referred to as the “Euro”) are global forecast models often used by meteorologists. There are other models by the way, and they all are used by our community. However, these two seem to get headlines for weather events 7 to 14 days out. You’ve probably seen social “media-rologists” or your Aunt Clara share an “loooooongggg-range” hurricane or snowstorm prediction. It probably came from one of these models. Scientific studies and meteorological experience tells us that the “Euro” model has typically been more accurate, on average, than the GFS model. This prompted Congress, after Hurricane Sandy, to have a sense of urgency about providing NOAA with the tools to catch or surpass the European model. Candidly, we need to be more proactive when it comes to these things rather than reactive, but I digress. I wrote in Forbes two years ago about some of those changes to the GFS after this mandate was issued. I find that the constant “GFS vs Euro” banter gives some people the impression that the Euro is light-years beyond the GFS. In fact, they both have their moments of “good” and “bad” performance. I have even noticed that in recent weeks. NOAA’s GFS model is still a world-class model. Certain people consistently tweet snarky comments when it is cold or snowing as if that refutes the notion of global warming. Here is a pro-tip: Resist the urge to do that because an informed reader will immediately recognize that you do not know the difference between weather and climate. Even as our climate warms, we will always have winter, snowstorms, blizzards, and cold outbreaks. More importantly, it is not called “East Coast Warming,” it is called Global Warming. Even if one tiny corner of the planet is experiencing extreme cold (or warmth), it is more intelligent to assess what the broader planet is doing before typing out that Tweet. I write about this ad nauseam, but it just will not go away. I saw a post recently asking what our “guess” was for the weather this week. I have been fascinated by this public tendency to perceive forecasts to be wrong. As I have written before, there are several reasons this happens. First, sometimes the forecast is wrong. However, it is right far more often. People tend to remember the less frequent event, the missed forecast. I am sure Chicago Bears fans remember the missed field goal in the playoffs far more than all of the kickers made field goals this past year. It is human nature especially if the missed forecast impacted their lives in some way. Second, many people do not understand what probabilistic forecasts or uncertainty is trying to convey. There are people that actually interpret a 20% chance of rain as meaning it is not going to rain. Wouldn’t that be 0%? 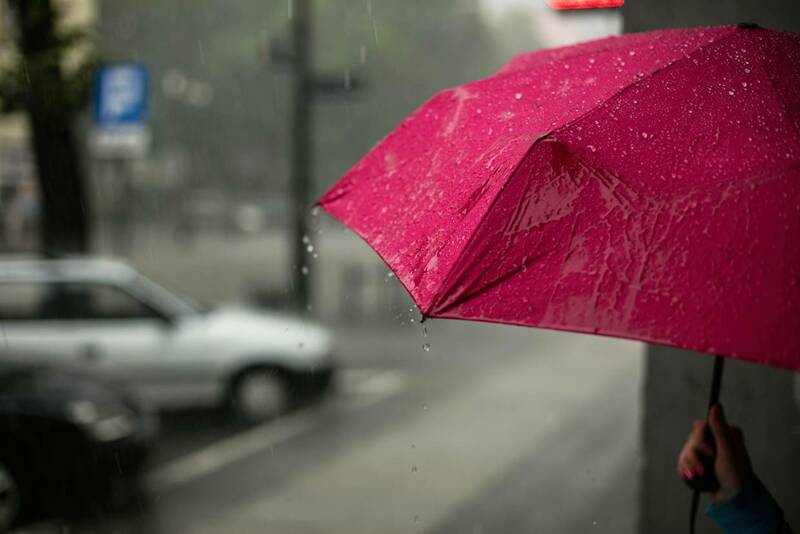 Rainfall forecasts are presented in a probabilistic sense. I also notice the same struggle with things like the “hurricane cone of uncertainty.” During Hurricane Irma, some people evacuated from one part of the cone to another part of Florida that was still in the cone. I think the successes of weather forecasts have also given the public the illusion that we can also do things we cannot. When that doesn’t happen, they complain. Our models are not robust enough to tell you that it is going to rain at 4:32 pm directly over your dog’s water bowl in the backyard by the tomato plant. 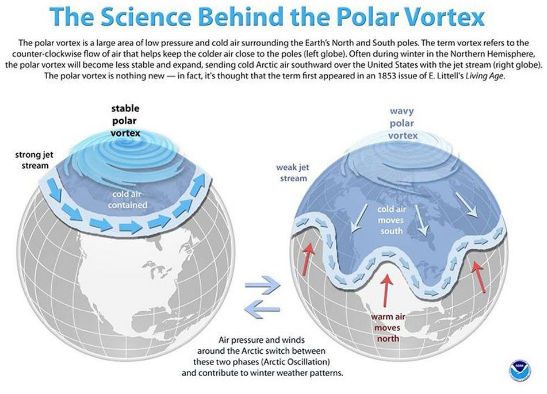 This is why we have to keep educating about math, statistics, weather, and overall science literacy with “teachable moments” like the Polar Vortex. Weather Apps are fine but have limitations. Don’t take them as the gospel, especially in rapidly evolving weather situations. Here is another one … really a weather language item. The forecast will say something like 70% chance rain. — 70% chance that it will rain sometime at a given location? — 70% chance that it will be raining at any given moment? — 70% of the forecast area will get rain; 30% won’t get any? — it should be raining 70% of the forecast period? It is helpful to see that the many factors of my question are involved in what can be a puzzling station. I once told someone that I was a meteorologist when I had started a new job. He asked if it would rain that afternoon. I gave him a 2 hour window when tstms might occur. He pressed me to a specific time , so I said 5:26 PM. The next day he said i was 2 minutes off. Most folks dont understand that every micro centimeter of atmosphere can be measured. That’s where “parcels” help fill in the gaps. Forecasting has improved dramatically. Al’s people dont understand how young a science it is. Consider the very first sattelite of any kind was launched a mere 59 years ago, and they have come a long way since. Then what is heat lightning? My sister and I enjoyed watching lightning on a hot, humid summer evening in the building storm clouds.